Guilt and shame are NOT from your Heavenly Father! Neither are condemnation or accusation! Sadly, these are common feelings in the life of a disciple striving to live and love like Jesus. But they are not from God. I disappoint myself constantly, and I project my own feelings of disappointment, distain, and disgust onto God, as if that must be how He feels about me – how He sees me. But this is a projection of my own sinful, finite nature onto Him who is sinless and infinite! This is a horribly unBiblical and distorted view of my loving Heavenly Father that I fall into all the time! Do you? Any sense of guilt or shame that we feel is NOT from God. It is either from our own misinterpretation of His rebuke based on some negative experience we have had with flawed human discipline in our past – or even worse, it is from “…the accuser of the brethren, who keeps bringing up charges against us before God day and night…” (part of Revelation 12:10, AMP). We learn from Job 1:6 and Zechariah 3:1 that the name “Satan” actually means “accuser”. Thus, according to the Bible, those feelings of accusation and condemnation are literally Satanic! They come from “the father of lies…who was a murderer from the beginning” (John 8:44). Jesus reminds us that “there is no truth in [Satan]” and that he “comes only to steal, kill, and destroy” (John 10:10). The accuser of our souls achieves his murderous purposes for us when we accept his condemnation of us before God as our own. 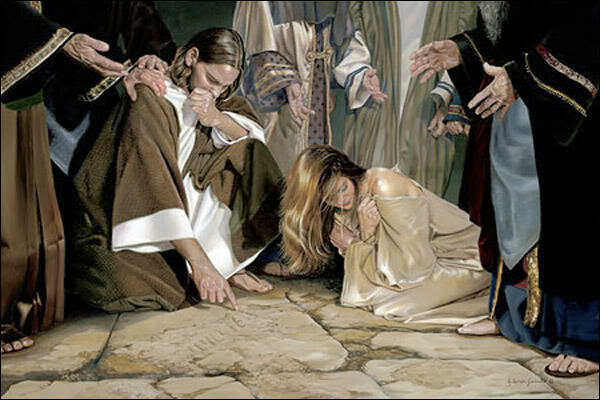 Jesus sits in the place of honor at the right hand of God and defends us before the Almighty! Jesus repels the accusations of Satan, and we are vindicated in Christ before God! Self-hatred is NOT a fruit of the Spirit! May our thoughts, concentrations, worries, and concerns NOT be on the accuser, his voice and words – but upon the Advocate – our victorious Defender and Redeemer! May our thoughts, concentrations, worries, and concerns be on Jesus, His voice and words. For what He says about us is true, right, authoritative, and eternal. 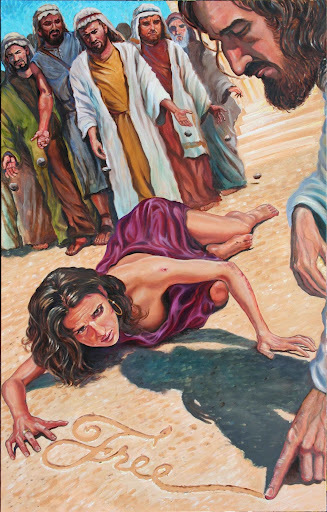 I have crawled so many times to the Master’s feet, bloodied & bruised by my own self-hatred, fueled with the accuser’s vitriol that I have made my own… and found Jesus extending a gracious hand, a warm welcome, an eager forgiveness. I thank Him for being a God of trillionth chances.